Walk to town! Special fall rate. Property 2: Walk to town! Special fall rate. Property 20: Centrally located. Walk to Greenwich Ave and Greenwich Train Station. 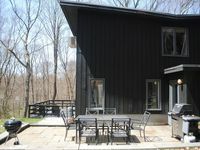 Property 22: Beautiful Country Retreat Just One Hour from NYC! Property 24: Central Greenwich, A Premier Luxury Apartment Building in Great Location! NR/Beach! Only Parts Of June & July Still Left In Summer! Property 26: NR/Beach! Only Parts Of June & July Still Left In Summer! Property 27: Cozy Quiet Cottage w/ Fire Place! Property 28: A dream summer rental 30 miles from New York City in picturesque Bedford, NY! Property 30: A Highly Safe, Upscale Country Hideaway, Pet Friendly. Property 31: Your Own Private Waterfall! This was my second stay at Andrea&rsquo;s beautiful modern house in South Salem. It was a great place to get away from the city to relax, catch up with my family and get a little work done. The house is really clean and functional. I loved the patio and the deck which was great for coffee in the morning and a little yoga. Really loved waking up to the sound of birds and the wind blowing the trees. Also loved the wood stove since it&rsquo;s not quite Spring yet and it was nice to have a fire to read in front of. We also loved having a grill, although it was a little too chilly to eat dinner on the patio (maybe next time). Andrea was really easy to deal with and we had everything we needed at the house. It&rsquo;s only about an hour and fifteen minutes from our place in Manhattan, the WiFi is good and it definitely provides an escape to the country side experience. 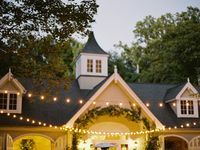 We will definitely be back soon so we can explore the nearby towns of Pound Ridge, Ridgefield and New Canaan, as well as do some hikes in Ward Pound Reserve and maybe try to get dinner at Jean George&rsquo;s place - the Inn at Pound Ridge which is supposed to be great. Meredith and Mike were the best hosts we could hope for. Welcomed us with open arms and treated us like family.